When the first crop of students for the newly-launched Bachelor of Fine Arts in Musical Theatre arrives on campus in the fall of 2019, the School of Dramatic Arts will be ready to put them through their paces in a way that no previous SDA concentration has done before. This unique program will be a collaboration between three schools: SDA, Thornton School of Music and Glorya Kaufman School of Dance. Kenneth Noel Mitchell, who heads the musical theatre program for SDA, expects that launch to proceed smoothly. Mitchell’s confidence comes from the experience of having traveled this route before. USC is the latest stop on a professional journey that has taken Mitchell from across the country. The lure of developing a new program at USC, made the New York-based instructor pull up his roots and pack his bags for Los Angeles. Mitchell began his career as an actor and director working both in New York and regionally. 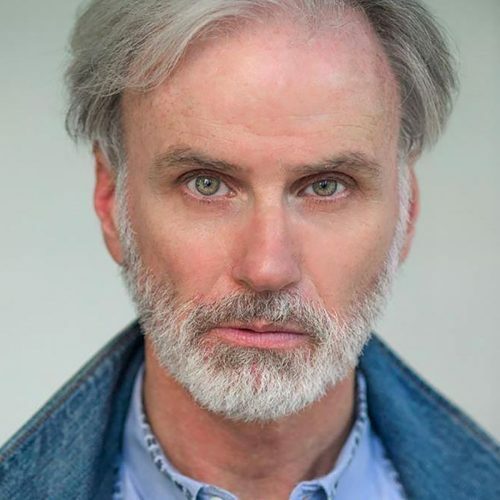 His credits include productions at the Joseph Papp Public Theatre, Soho Rep, the American Globe Theatre, American Stage, the Asolo Conservatory Theatre and the Atlantic Theatre. He took a position running a theatre company in Florida and soon realized that he found instruction and curriculum development more interesting than artistic programming. Accordingly, he joined the Guthrie Theatre to head up that organization’s BFA in classical acting program. After eight years, he moved to New York University to develop the acting component of NYU’s New Studio on Broadway, a musical theatre program. Leaving New York was not, he confesses, an easy decision given his friends and professional contacts on the east coast. Finally, a friend sat him down, convinced him that the USC position was “the opportunity of a lifetime” and urged him to take the gig. As an undergraduate at Florida State University, Mitchell worked in musical theatre, but was told he likely wouldn’t get work because of a mild case of cerebral palsy. In graduate school at Purdue University, he focused more extensively on classical acting, but he missed musicals and looked for ways to return to musical theatre, and to deepen and enrich the level of acting that he saw in musicals being produced commercially. USC’s musical theatre BFAs will be the beneficiaries of that quest. As they take classes within SDA, Kaufman and Thornton, students will get to immerse themselves in all three disciplines without feeling like they have to blend them together all at once. For the first year and a half, most of the focus of their studies will be on acting. Music and dance will be integrated in a more concentrated way toward the end of the sophomore year. “When they’re dancing, they’re dancing. When they’re acting, they’re acting. They’re not trying to integrate things too soon,” Mitchell said. During the junior and senior years, the students will learn the disciplines that come with different styles of musical theatre, from the golden age to Stephen Sondheim up through contemporary works. The junior year will also be heavily devoted to the demands of musical comedy. By the time they reach senior year, the rising BFAs will be focusing on their capabilities as entrepreneurs, building their own cabaret and culminating in a showcase that will take place in Los Angeles in New York. Mitchell points to a musical like Hamilton that changes perceptions of theatre and wants his students to think innovatively and with an entrepreneurial eye as well. During his first year, Mitchell taught a class in musical theatre audition in the fall and will teach an acting scene study class in the spring. He is adapting to life in L.A., finding a home downtown, taking public transportation to work and acclimating himself to a spread out campus that requires a lot of walking. There’s only one aspect of Trojan life that Mitchell isn’t so keen about.